It’s never too early to develop talent in the kitchen. 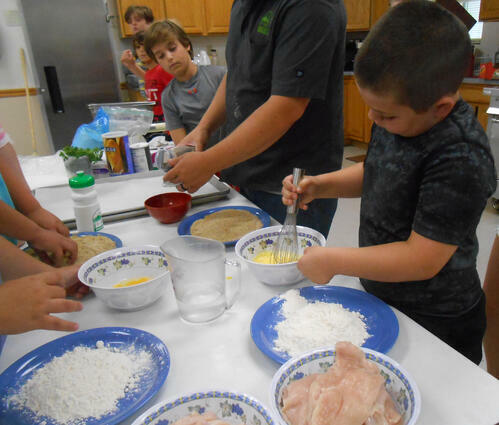 Based on our popular Top Chef program and age-adapted, elementary campers will have the opportunity to explore exciting cookery, too! This program will focus on creative culinary delights balanced with healthy, kid-friendly snacks, culminating in preparing a full meal for themselves on Thursday. Campers also spend part of their day exploring other activities that camp has to offer, like waterfront, arts & crafts, pool time, and more. These campers will cook and stay in our air conditioned dormitory-style retreat house. Space is limited.